Your Galaxy S6 wants you to be able to communicate with everyone you would ever want to in any way you know how to talk to them. This is a tall order, and your Galaxy S6 makes it as easy as possible. 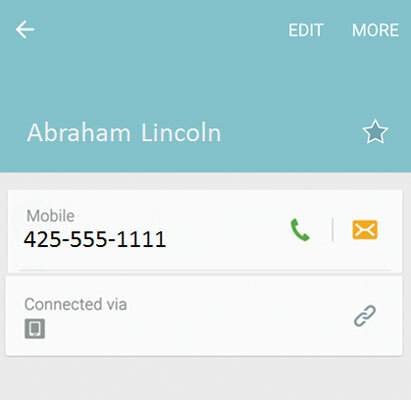 In fact, the technology implemented in the Contacts app might become one of your favorite capabilities of the phone. After all, your phone is there to simplify communication with friends, family, and co-workers, and the Contacts app on your phone makes it as easy as technology allows. At the same time, this information is only as good as your contact database discipline. The focus of this section is to help you to help your phone to help you. The fact of the matter is, if you introduced your phone to your e-mail accounts, the Contacts list on your phone has all the contacts from each of your contact lists. Take a look at it and see. 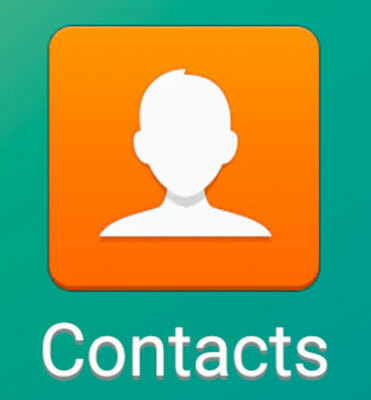 From your Home screen, tap the Contacts icon. If you haven’t created a Gmail account, synced your personal e-mail, or created a contact when you sent a text or made a call, your Contacts list will be empty. 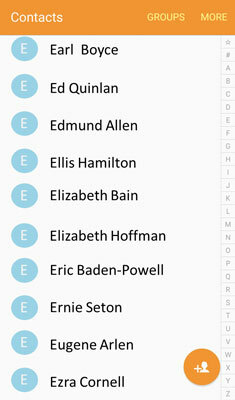 Otherwise, you see a bunch of your contacts now residing on your phone, sorted alphabetically (as shown here). As if all this weren’t enough, you can assign a specific ringtone to play when a particular person contacts you. Finally, you can assign a picture for the contact. It can be one out of your Gallery; you can take a new picture; or you can connect to a social network like Facebook, and use that person’s profile picture. Fortunately, the only essential information is a name. Every other field is optional, and is only displayed if the field contains information to be displayed. This figure shows a lightly populated contact.